NEW THERAPY MAY SHOW POTENTIAL FOR MANAGEMENT OF INFLAMMATORY BOWEL DISEASE (IBD) - Entera Health, Inc.
CARY, NC (Business Wire April 30, 2013) – Entera Health, Inc. announces a poster recently presented at Experimental Biology 2013, which was held in Boston, MA , Saturday, April 20 – Wednesday April 24. Dr. Gerald L. Klein presented nonclinical studies showing that SBI increases lean body mass and bone density through improved nutrient utilization and absorption efficiency. SBI facilitates restoration of the epithelial structure, reducing intestinal permeability, increasing absorption, improving intestinal barrier function as well as the modulation of the immune response by limiting immune activation. Clinical studies in patients with IBS-D or HIV-associated enteropathy have demonstrated improved GI symptoms. Dr. Klein concluded that SBI may be useful as a multifaceted approach for the dietary management of inflammatory GI diseases such as Crohn’s and ulcerative colitis, but emphasized the need for confirming clinical studies. “We are very pleased with the progress we are making with the development of SBI,” remarked Dr. Eric Weaver, Chief Scientific Officer of Entera Health. “We look forward to bringing a new option to market which will allow clinicians to manage patients who experience abnormal intestinal function. In addition to the positive results we have seen in IBS-D and HIV-associated enteropathy, we believe that SBI may prove to be a valuable option in managing Inflammatory Bowel Disease if future clinical trials are confirmatory.” commented Gerald L. Klein, MD President & CEO of Entera Health, Inc.
SBI is a medical food product composed of bovine immunoglobulins and other proteins which have been shown to manage some forms of enteropathy (abnormal intestinal conditions/diseases) in clinical studies under medical supervision. (for more information, please email eh.medicalinfo@enterahealth.com). 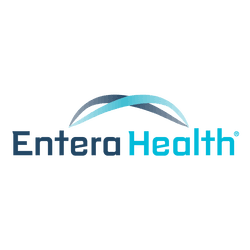 Entera Health, Inc. is a biotherapeutic company focused on improving worldwide health through development of clinically safe biotherapeutics to address unmet needs. Entera conducts continuing research utilizing value added proteins and protein co-products to find additional compounds that positively impact human health. Products are being developed for oncology, gastroenterology, and immune disorders.